FR-reader Luke stumbled on this interesting dpreview thread. The screenshot can found at reddit.com. Apparently, David Hobby uploaded a set of sample images from the X100T to his Flickr account by mistake. The images have since been removed, as he broke his NDA (non-disclosure agreement) by publishing them. The name is nothing new for FR-readers. 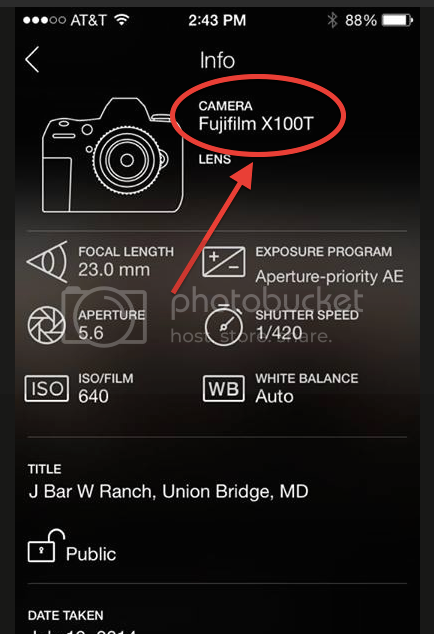 I told you over a month ago that X100T could be the name of the X100S successor. The focal lenght remains 23 (APS-C, according to mirrorlessrumors).